When Borderlands was released in 2009 it ended up being one of the best games of the year. 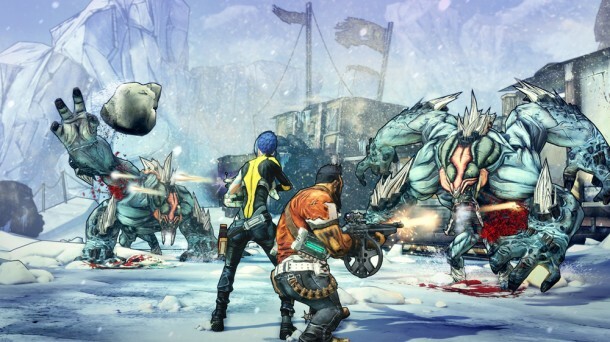 After releasing some very good quality DLC we wondered "When would we get more Borderlands?" and last year we got the answer when Borderlands 2 was confirmed for 2012, and I was very excited to see what they could pull out the hat with Borderlands 2. Let's see if Borderlands 2 managed to be the same quality game that was released 3 years ago. The main story takes place 5 years after the original events of Borderlands as we are introduced to a man called Handsome Jack who is the leader of the Hyperion Corporation. Jack rose to power in Pandora after taking credit for the original vault hunters actions. Hyperion Corporation finds a new vault in Pandora which contains a powerful creature called "The Warrior". The original 4 characters are out of here and in their place are four new characters called Salvador, Maya, Axton and Zer0. All of these characters have their own personal perks and abilities that we will talk about more later in the review. 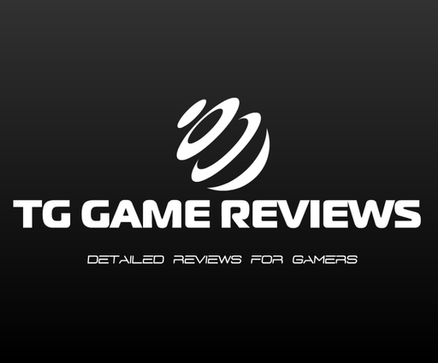 review, and obviously you would like to read this review unspoiled. I can tell you though to look out for some shocking storyline swerves and some awesome cutscenes that will make your finger move far away from that skip button. You will find yourself finishing the main story at around 30 hours. Yes you read that right you will finish the game at 30 hours!! 30 hours not enough? Well its going to take you even more hours to finish all of the side missions in the game. The side missions are pretty fun too and range from the normal kind of side missions like giving this item to someone but some of the missions are very, very different like having to find human body parts for a robot so he can become a human, organising a party for claptrap or solving a murder. I must also say that some of these missions will have you laughing out loud which is something I rarely do while playing a game. Along with these side missions your final gameplay hours will total way past that original 30 hour mark. One of the many positives in Borderlands 2 is the voice acting. The voice acting is awesome because all of the voice actors actually do their job very well. I mentioned before how there is a character called Handsome Jack and he is a big jerk, and I feel his whole bad guy character is well done because of the awesome voice acting. The voice acting doesn't only work for the bad guy but it works really well in funny moments in the game (When you play the game you will know what I am talking about) I got to say Borderlands 2 voice acting is up there as some of the finest voice acting in video game history. The graphics are decent but there are some noticeable hiccups with the graphics at times mostly during parts of the game that had lots of action in it. Other than the few hiccups the whole scenery in the game looks very detailed and there is a variety of different environments in the game. Customization in Borderlands 2 has been upgraded a little from the original game. In this game you can have new player skins for your character and you can also edit the hairstyles of the character you have chosen. I talked earlier about the perks that the new characters can get well you get them by using the skill tree that has even more skills you can upgrade than the first game. Also in the game are badass points that you get when you fill up the badass meter. The points can then be used to increase certain stats in the game like maximum health and gun damage for example. 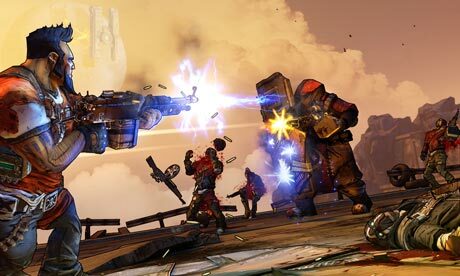 Borderlands 2 is pretty much Borderlands 1 with the heat turned WAY up. I love this game it is up there with the other 2012 greats for the 2012 Game Of The Year. There is many reasons why I love this game like the amount of content you get with your purchase is insane you could easily have a save with side missions at 40-50 hours long (That should keep you busy) I hardly found any flaws with the game except some minor graphic problems and other bugs, and the story is pretty solid as well. You can't go wrong with a Borderlands 2 purchase for sure. I just hope we get more Borderlands 2 via DLC with the same quality as the first game.